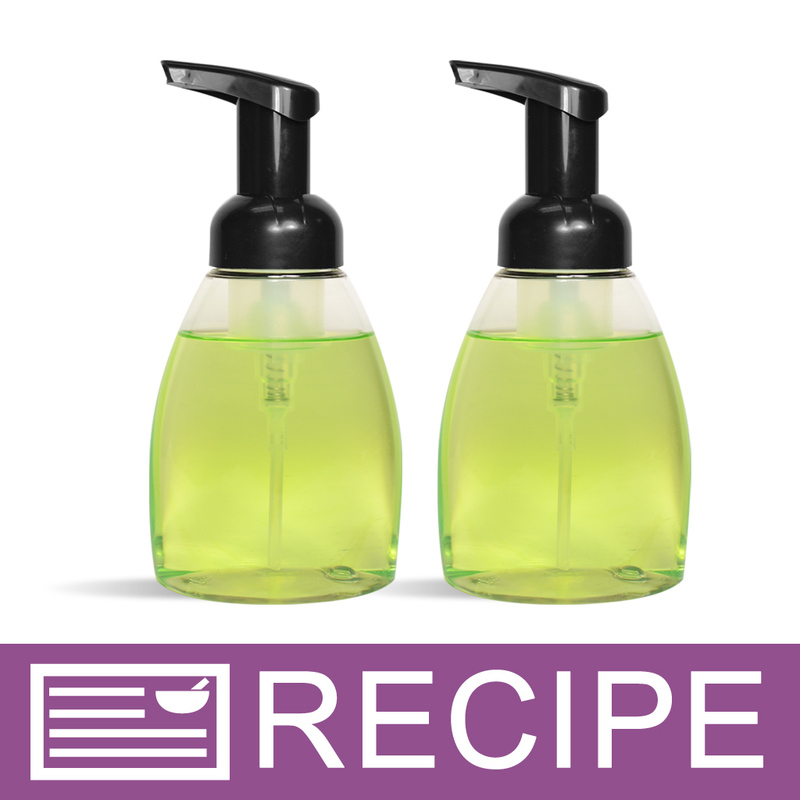 Enjoy a crisp apple scent with the foaming hand soap made from this liquid soap making project. 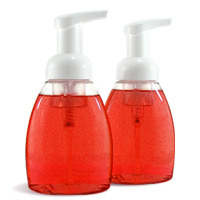 Create a full line of foaming hand soap with this liquid soap making project. Green apple fragrance oil and forest green liquid color are added to a foaming hand wash base to create these soaps. 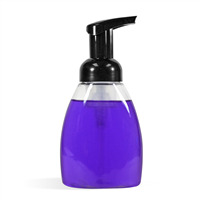 The special foamer pump included injects air into the soap when pumped to create the foamy texture. The finished soap is packaged in clear plastic containers. Customers will love the light green color and the delicious apple smell. You Save $36.05 by purchasing this kit rather than buying the items separately. Water, Ammonium Lauryl Sulfate, Ammonium Laureth Sulfate, PEG-80 Glyceryl Cocoate, Aloe Barbadensis Leaf Juice, Tocopheral Acetate, Disodium Cocoamphodiacetate, Wheat Amino Acid, Cocamide MEA, Fragrance, Propylene Glycol, Quaternium-15, Citric Acid, Dimethicone, Green 5, Yellow 5. COMMENTS: I was so excited to make these foaming hand soaps. My kit made 15 rather than 16 but it was easy, smells so nice, the color was gorgeous, and came with everything! I immediately tried one out and after pumping a luxurious foam soap comes out. I am hooked! Thanks WSP for another amazing and good quality product! "Could Goat Milk Powder be added so it could be sold as Goat Milk Foaming Hand Wash?" Staff Answer This is something you would need to test. If the goat milk powder is not completely mixed in, it may cause some clumping which would clog the dip tube for the foamer top. "I have made this twice and both times it separates. What am I doing wrong?" Staff Answer You might try adding more of the FO/EO Modifier. Add it directly into the bottle, a small amount at a time, until it no longer separates.